At Hennessy only the very best will do. Every facet of business and service operations is based on practical performance criteria. Our emphasis on streamlined modern operations, industry best practice and operational efficiency ensures your business site remains operational. 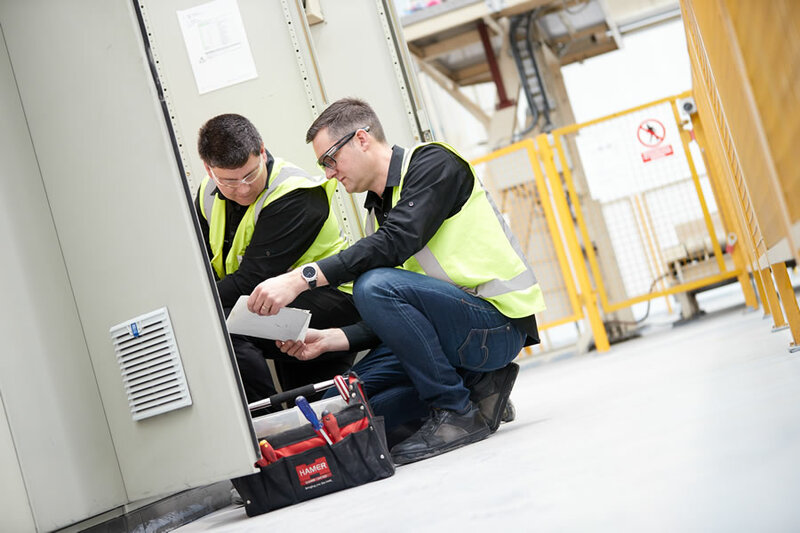 Along with our industrial electrical services, Hennessy provide an advisory service for management of electrical systems. If you have an industrial electrical issue, we’ll have a solution. Power distribution systems for Commercial & Industrial sites HV and LV. Design, build and configure PLC and Operator Panels. Switchboard building & motor control centres. Power Factor monitoring, design & correction. Motor Starters, Variable Frequency Drives and Soft Starters. Servo design, programming and installation. Lighting design, repair and re-lamping. Radio Telemetry for Remote control of plant. Uninterruptible Power Supplies (UPS) & Lightning surge protection. Building compliance – Independent Qualified Persons (IQP) audits. EV charging, supply and install.